Confronting the many issues of the New Year 2011, it is most important that Buddhists reassess their role in the community and society. We are moved by the fact that recent discussions of Buddhist activism have highlighted the fact that Buddhists, in Hawaii and abroad, have been generally passive in response to many social issues in the community. It is true that traditional Buddhist communities as a whole have not spoken out against war, whether earlier in Vietnam or presently in Iraq and Afghanistan. Nevertheless, in 2007 youths of the Honpa Hongwanji’s Young Buddhist Association successfully advocated for an annual Peace Day observance in Hawaii at the legislature. Also the Honpa Hongwanji Mission legislative body has announced publicly its support for HB 444 on Civil Unions in the Hawaii legislature. In this talk we will survey historically Buddhist social activism. Unfortunately this survey is sketchy and limited, only scratching the surface of activities carried on by Buddhists around the world. However, I hope that it will, in some degree, counter and correct the view that Buddhists are not socially aware by the nature of the teaching. We should note some distinctions. There are levels or dimensions of social activism. On the personal level, there is Philanthropy. There is the dimension of Social. Service which, in modern times, has been done by groups meeting a need in society. Then there is Social Welfare which also in modern times has been carried out by government, often with advocacy and support of religious and social groups. Then there is social activism as a political force striving for the improvement of society as a whole in the interests of freedom, equality and justice. It is the perspective of this presentation that Buddhists have largely engaged society through history in Philanthropy and Social Service where possible. These activities occurred largely in the context of despotism, filling in where political leaders neglected. They have not historically been as strong in political activism because conditions did not permit it. With democratic societies, it is now possible for Buddhists and Buddhist communities to engage in advocacy and work for the reform of society generally. In early Buddhist tradition such texts as the Dhammapada, Footsteps of the Teaching (Dhamma, Dharma), we can observe a general ethical perspective. An ancient Buddhist belief held that Maitreya Bodhisattva would descend from Tusita heaven as the next Buddha to right the wrongs in the world. This belief later inspired revolutionary secret societies in South Asia. The Three Stage teaching of Hsin-hsing (540-594) in China challenged traditional Buddhism as corrupt. They believed that all people possess the Buddha nature and all attain Buddhahood equally. They revered with gassho (palms together) everyone they met. The sect also established the Inexhaustible Treasury, emphasizing Dana (selfless giving) for the poor and sick. It was later suppressed by the government. …According to the Nirvana Sutra, the entire set of good deeds provides the causes for rebirth in the pure land…The second cause is the cultivation of generosity, which calls for one to widen roads, dig wells, plant orchards, provide medical care and medicine for the sick, build monks’ quarters, make offerings to those who observe the precepts and preach the Dharma, cast images, build stupas or make various kinds of offerings. Such people [who cultivate this generosity] will gain rebirth…. In ancient Japan there are notable examples of monks engaged in social uplift, following the Nirvana Sutra, which the government did not do. Dosho (629-700) is famous for building bridges, digging wells, setting up ferries and opening almshouses for the poor. He is said to have introduced cremation to Japan. 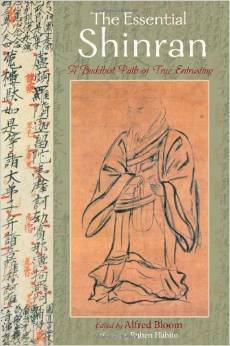 Gyogi (670-749) was so beloved by the people that he was given the honorific title: Bosatsu (Bodhisattva, Buddha-to-be). He also built bridges and dikes, irrigation canals, ferries and harbors, planting fruit trees, and setting up hostels for travelers. Saicho (767-822), the founder of the Japanese Tendai sect exhorted followers to live so that they would be National Treasures, serving society. Kukai (774-835), who introduced the Shingon sect, built dams, and started a school where people from all classes were accepted. Kuya, the monk of the market place, sang and danced the nembutsu recitation of Amida Buddha’s name while also engaging in social service projects. Later in the Kamakura era (1185-1332) the Zen monk Eisai (1141-1215) gave copper metal donated for an image to use to feed the poor, disregarding criticism of his disciples. The Pure Land teacher Shinran (1173-1263) criticized the Japanese government for persecuting Pure Land teaching. He also noted the prevalent inequality of justice in society, quoting a poem of Prince Shotoku. The Prince declared that when a rich man goes to court, it is like throwing a stone into water, easy, while, when a poor man seeks justice, it is like throwing water into a stone, impossible. The Shin sect teaching inspired numerous peasant revolts in the later Muromachi period (1392-1573) called Ikko Ikki. Ikko means “single minded” “one direction” “one way” and refers to Shin Buddhism. “Revolts of the One Way people.” Nichiren (1222-1282) inveighed against what he saw as false Buddhist teachings which threatened the existence of Japan. He was deeply concerned for the nation. In modern Japan after the restoration of Meiji Emperor in 1868, there were several Buddhist efforts to reform society. The Shin Bukkyo Doshikai (New Fellowship of Buddhists) rejected superstition and was anti-clerical. It opposed government interference in religion and promoted learning and morality. Movements with Shinshu Buddhist background are Muga no Ai or selfless love. Others were Shinbukkyo Undo (Neo-Buddhist Movement) and reformist Seishinshugi (spirituality] of Kiyozawa Manshi and the Hanseikai (Self-Reflection) in Nishi Hongwanji. Muga no Ai was initiated by Ito Shoshin (1876-1963). He experienced selfless love and began to publish a magazine Selfless Love in 1905, teaching that selfless love is not something we believe in because we are Buddhist, Christian or Confucian. Rather, it is because it is the absolute truth. It is the true nature of the universe which acts with selfless love. (1) The basic principle was to have sound Buddhist faith. (2) (Buddhists) must work to propagate sound belief and for the reform of society. (3) They advocated free investigation of Buddhism and other religions. (4) They did not regard the preservation of the old religious system and its rituals as necessary. (5) They completely rejected political protection and interference in religion. They also collected money to help people injured in mines and were pro-labor. They criticized police persecution and violation of human rights. They took stands on public issues and advocated the abolition of prostitution, as well as opposing drinking and smoking. Notable individuals were Takagi Kemmyo 1864-1914), a Higashi Hongwanji minister, who died in prison, accused of taking part in a plot against the government and of being a socialist. Kujo Takeko (1887-1928), daughter of Abbott Myonyo of the Hongwanji, damaged her own health working on behalf of the injured in the Tokyo earthquake of 1923. She also established the Asoka hospital in Tokyo. With the spread of communism after World War I, the Japanese Government became more restrictive. The Kempeitai secret police became famous. Any form of opposition to government policy or activism became dangerous for one’s health. There was no true freedom of religion till after 1945 and the defeat of Japanese fascism in World War II. Since the end of World War II, there have been many Buddhist peace movements in opposition to war and nuclear armaments. They also promote clean environment, while some work to overcome discrimination against burakumin or outcaste people. In addition, there have been efforts for reform in Buddhism itself in various sects. Some researchers focused on the collaboration of Buddhist sects and the militaristic government and others have been critical of certain teachings such as Primordial Enlightenment which encouraged complacency, and easy acceptance of things as they are dictated by government. In the Hongwanji there have been several notable developments. On the background of Japanese experience in the war and social problems, we can observe strenuous Hongwanji opposition to Japanese rearmament and nuclear weapons. Among scholars there has been study of what is called Senji Kyogaku or Wartime Doctrine with which swect teachers collaborated with the Government in supporting the war. It led to Hongwanji apologizing for its collusion with the government. They have opposed the revision of the anti-war clause in the constitution. An aspect of the collusion of the sect and the government was the interpretation of the meaning of selflessness. We here much to day that selflessness is a key insight of Buddhism. However, it can have various meanings. In the wartime selflessness was interpreted to mean sacrificing and dying for the Emperor. There is a well-known, traditional phrase Messhi hoko, Abolish the self and serve the Public. Hongwanji has also opposed strongly the re-establishment of government support for Yasukuni shrine, the symbol of militarism and Shinto in Yasukuni as the place of repose for all deceased soldiers in the war. The Abbott some years ago was also the titular head of an organization to remove discrimination of the outcaste Burakumin, termed Dowa Mondai. In recent years there has been broad concern for ecology and environment issues. Also there is a strong hospice movement or Vihara movement activity. In various interviews and roundtable discussions, the Abbot is clear that Shin followers must be involved in society and that the principles of Buddhism have social implications. Hongwanji continues the struggle against discrimination. We should note also that perhaps Nichiren was the clearest Buddhist activist. Leaving aside doctrinal and polemical considerations, Nichiren believed that the nation was in dire peril as a result of internal conflict and potential foreign invasion by Mongols, believed to have been predicted by the Buddha for those nations which did not follow true Buddhism. . Nichiren confronted the government, chastising it for not following the teaching of the Lotus sutra alone. He was the most persecuted but most intrepid of Buddhist teachers because of his concern with the well-being of society. In our modern situation, most peace movements in Japan have roots in the Nichiren tradition and most outstanding has been the Nipponzan Myohoji sect which is noted for its walking, and drum beating all over the world in behalf of peace. Soka Gakkai also began with an effort to reform society. Its founder Makiguchi Saburo, a geography teacher, began a movement similar to the Moral Rearmament movement in the West. It was named the Scholarly Society for the Cultivation of Values. He linked up with Nichiren Shoshu as a religious basis. Makiguchi was imprisoned during the war because he opposed the war. He died in prison. Part of the success of his movement after the war and through reconstruction was based on the fact that it was the only group not to cooperate with the government as other sects had. In the movement as we know it later, the emphasis on receiving worldly benefits for reciting the title of the Lotus Sutra received more notoriety, as well as its rapid spread in Japan and in the US and other countries. In Japan it established a political party Clean Government Party-Komeito. Ecology and Peace are presently their main themes. Outside of Japan we should take note of Dr. B. R. Ambedkar’s (1891-1956) work as a participant in developing India’s Independence Constitution. He also converted thousands to Buddhism to liberate the Untouchables. We also recall the valiant Vietnamese monks who immolated themselves in opposition to the war. Inspired by opposition to the Vietnam war, the Buddhist Peace Fellowship was initiated in Hawaii by the late Robert Aitken Roshi, a Zen teacher. It has now become a national effort influenced by the Vietnamese Buddhist monk-activist Thich Nhat Hanh and the Dalai Lama who struggles for human rights in Tibet and the world. The Engaged Buddhism movement in the West has been also inspired by Mr. Sulak Sivaraksa of Thailand and Dr. A. T. Ariyaratne of Sri Lanka. Dr. Ariyaratne has developed a social service agency Sarvodaya which helps people through village organizations for relief and development, during times of disaster as well as in peaceful times through farming and education. The name means the awakening of all through shared labor. There is also the Tzu Chi Buddhist Compassionate Relief Society which holds medical clinics and performs social service throughout the world. Tzu Chi Foundation originated in Taiwan in 1966 by Master Cheng-yen. It engages in medical care, education and spreading Buddhism around the world. Beginning with 30 members, housewives who saved two cents from their grocery money each day to help the poor, the foundation now has volunteers in 47 countries and 372 offices worldwide. While these examples of historical and contemporary Buddhist activism show that Buddhism has a record of social activism in support of human welfare and human rights and justice, the immigrant Buddhist communities in Hawaii and the mainland, particularly the Japanese, appear lagging in such efforts. However, this situation must also be understood historically. Buddhism came to Hawaii initially as a spiritual support for Japanese laboring families on the sugar plantations. Directly imported from the homeland, Buddhism reflected the conditions prevailing in Japan. which had been shaped in the context of despotism over centuries. Throughout its history Japanese authorities restricted access to, and teaching of, the masses, particularly during the Tokugawa period (1800-1898) of self-imposed isolation. The main function of temples was the care of the ancestors and maintaining social order. In addition, as the religion of a laboring class, segregated on the plantations, without citizenship or political or social recognition, the immigrant members turned inward to the temples where they received spiritual support and resources for personal validation. Temples were built and largely functioned as social and community organizations, maintaining language schools and cultural activities, as well as being ritual centers for the faith. The second Bishop of the Hongwanji supported the sugar strikes in the 1920’s, invoking considerable criticism from the dominant community. He wrote essays on the compatibility of Buddhism and democracy, while calling attention to American hypocrisy, while claiming to be a democracy, there were efforts to suppress and violate the rights of the Japanese. Attempts were made to close Japanese language schools, while Christian evangelism stressed that one could only be a good American, if one were Christian. World War II brought suspicion and denial of rights for Buddhist clergy and institutions. While the Japanese community in Hawaii avoided incarceration for the most part, unlike that on the mainland, Buddhists could hardly be “activistic” as we presently understand activism. With restoration after 1945, temples and congregations regained self-confidence in their traditions and rebuilt their institutions, here and on the mainland. In my own experience coming to Hawaii in 1970, I perceived that people were still under pressure. It was easier to get jobs in society if one were Christian. Students of Buddhist background would not easily admit they were Buddhists. Gradually under the leadership of Bishop Kanmo Imamura, son of the second Bishop, the establishment of the Buddhist Study Center and Buddhist studies programs in the departments of philosophy and religion at the University of Hawaii contributed to the growing recognition of Buddhism as a major and influential faith among the world’s cultures. Of course there were significant developments on the mainland where departments of Religion sprang up to teach world religions and numerous Buddhist programs were initiated with interest in Zen and other forms of Buddhism. Hence, throughout the country from the 60’s on there was growing interest in Buddhism with an increase of scholarship, courses and publications and increase in small centers with a teacher and followers such as Diamond Sangha in Hawaii. There are now Mindfulness Meditation and Vipassana Meditation groups as well as representation of the Tibetan tradition. As a result of the changing environment and positive recognition of the diversity of spiritual paths in American society, Buddhists have begun to develop their own voice and approaches to contemporary problems. It has moved from passivity fostered by cultural background and history and lack of self-confidence as a minority faith to a faith with a message which needs to be heard in our polarized society. In Hawaii, the Hawaii Association of International Buddhist was initiated as an educational group and has made public statements on same gender marriage and the war in Iraq. The message of Buddhism calls us to recognize that our many problems are caused by the clash of egos, individual; and corporate, and we need self-reflection. Our problems are not all created by external conditions or by others. Arguments are two-sided and democratic life requires a blending of competing interests and desires. Buddhism also stresses our mutual interdependence which can counter the divisive and ultimately self-defeating competition which now dominates our culture. Rampant individualism where there can be only winners, disregarding the losers, is destructive of the social fabric that we all need to live meaningfully. Buddhism would counter the marriage of nationalism, Christianity and economic capitalism that dominates our society and undermines the social responsibility of business and industry in the interest of material gain. Buddhism, by encouraging self-reflection and self-criticism, would promote a sense of mutual responsibility and the recognition that we cannot exist and prosper unless we also enable others to exist and prosper. Buddhism would place social responsibility uppermost and make clear that true freedom is indivisible. Buddhism can add its voice and strengthen the principles of freedom and justice that are the hallmarks of American history and society. It can also make us humble in recognizing how often we have failed to live up to the highest ideals of our democracy. The present circumstance, where there are many seekers, provides Buddhism with an opportunity unprecedented in its history to bring its spiritual and moral insight to bear in contemporary society.